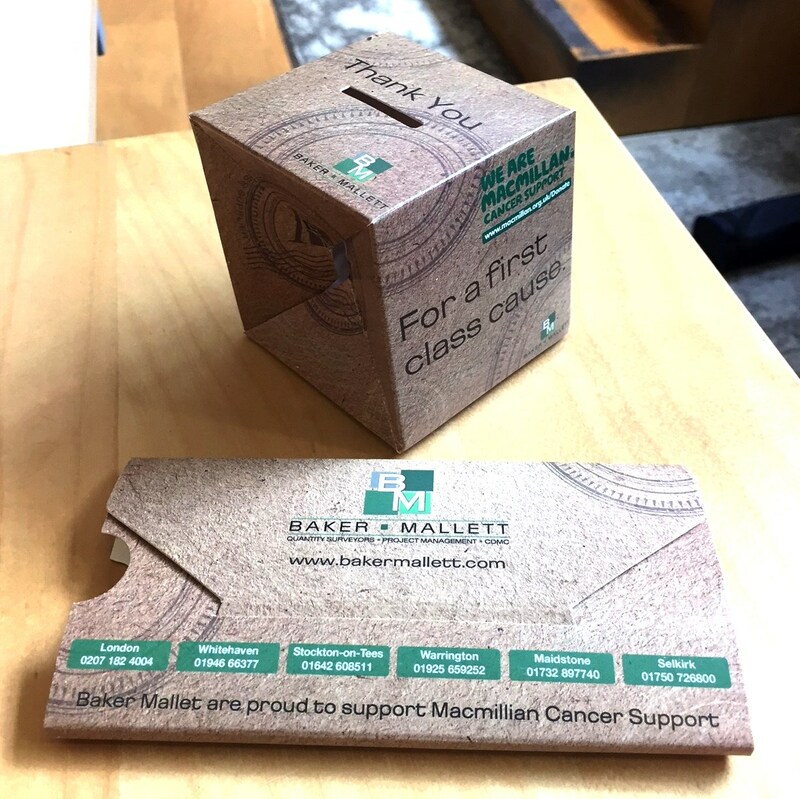 We recently carried out a successful DM campaign for our client Baker Mallett. Baker Mallett’s strapline is ‘A First Class Supplier’ so we wanted to reflect this in the campaign. We came up with a first class post mark stamp and the look and feel of the items, appearing like brown cardboard box parcels in the mail. Baker Mallett work across multiple sectors but they realised that not everyone knew this. They were potentially missing out on projects that could have been awarded to them because the client didn’t know they were able to work in that sector. To help tackle this problem, it was proposed that a DM campaign would be a good way to keep in touch with contacts and to raise their profile across multi-sectors. The second was a pop-up money box, in the style of a brown cardboard box, to raise awareness for a “first class cause” which was Macmillan cancer support. 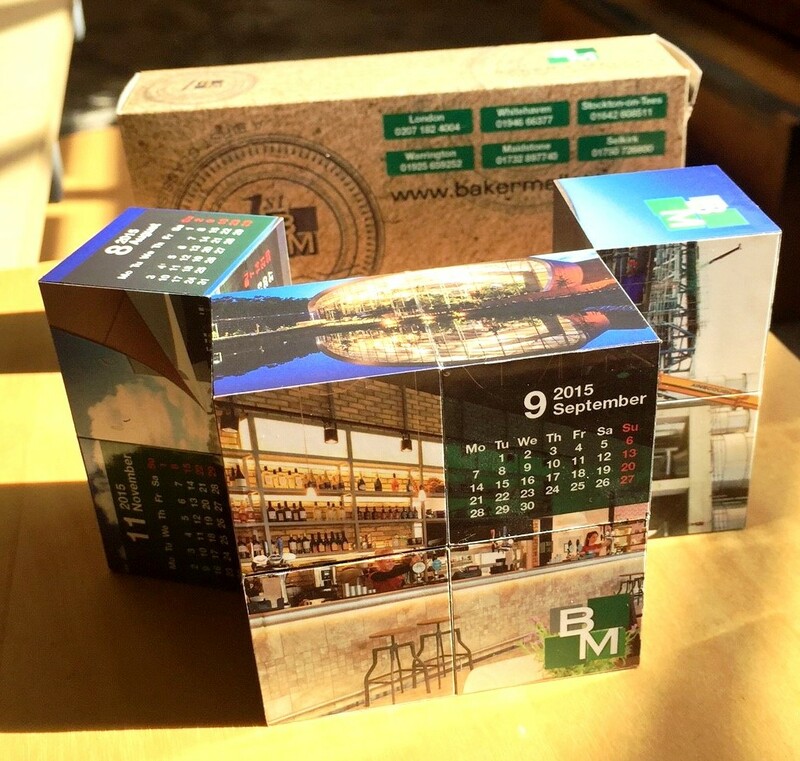 The third and final piece of mail was a 3D cube calendar, also in the style of a brown cardboard box. 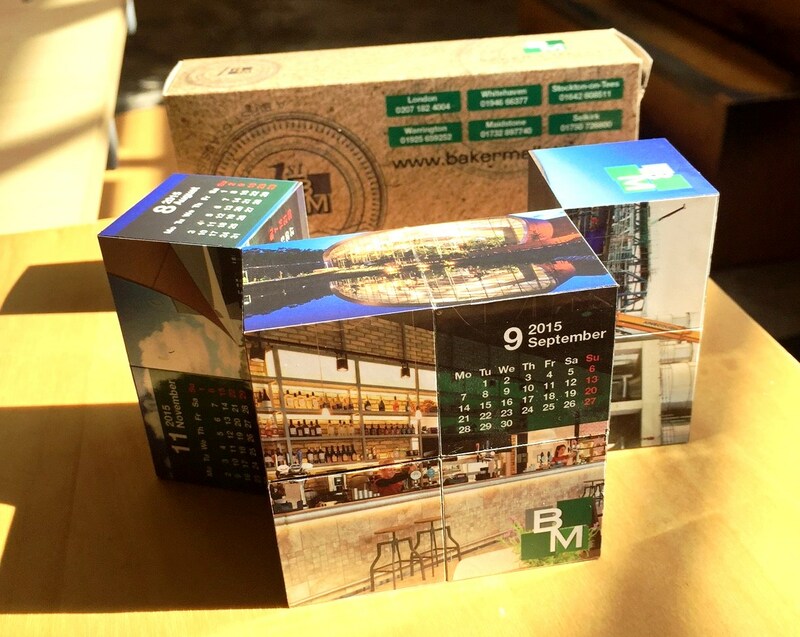 The calendar folds into a cube and each month displays different projects that Baker Mallett have completed to showcase their work to their customers. We backed this up with digital/online activities such as an e-shot, website updates and social media. Clients commented on the innovative nature of the money box and calendar and the lasting impression it made on them.